You have the RIGHT to remain silent: Even in a car accident case! When a police officer asks us a question, we’re taught to do our very best to co-operate. Why wouldn’t we want to co-operate with the authorities and help them do their jobs. When I was young, we were taught in school to answer questions as best as we can. We weren’t very concerned with issues of fraud or breach of privacy as we are today. Those hard and fast principals go out the door in a legal context. In a legal setting, when you’re asked a question, you had better make sure that your answers aren’t going to hurt your case, or stop your case from proceeding before it’s even had a chance of getting off the ground. These warnings don’t apply as much with authorities such as the police, as they would with insurance adjusters. You would be amazed at the amount of personal and confidential information which accident victims freely give up to insurance companies over a simple phone call or during a simple statement. After you’ve been involved in a serious car or motorcycle accident, it’s pretty safe to say that either one of the parties or the police will report the accident to the parties’ respective insurance companies. As soon as that claim is made, a file is thereby opened by the insurer. The file is assigned to an adjuster; who is the employee for the insurance company who is responsible for handling the file. Sometimes the adjusters are employees for the insurer. Other times, the insurers retain 3rd party adjusters to handle to claim. It all depends as every claim is unique. The adjuster may be working for your own insurance company, the at-fault party’s insurance company, or a third party insurer who is unrelated to the accident, but may have an interest in the outcome of the accident claim. The moment the file is opened, the insurer has the task of gathering AS MUCH INFORMATION ABOUT THE ACCIDENT CLAIM as possible. It’s like a race for information. The winner of the race is the party who recovers the most information as quickly as possible. The reason that insurers want to gather as much information as possible is because it’s their job to do so. They need to know what your claim is all about, how much money to set aside in what’s called a “reserve” to potentially pay out your claim. Or, the insurer wants to find any way such as NOT to pay out your claim. If they can transfer the responsibility for the accident to another party, this is something they would want to know, and would want to do as soon as possible such as to reduce their exposure. If they can DENY liability for the accident because they find out that the accident was NOT their fault,. again, this is something they would want to know and would want to do early on; again to limit their potential exposure. At the end of the day, this is about money for the insurer. The more money they have to spend, and pay out on your claim; the less money they get to report in profits to their shareholders. I repeat from my previous Toronto Injury Lawyer Blog Post Entry that most major Canadian insurance companies are publicly traded on the Toronto Stock Exchange. They have to report earnings, profits, losses etc. They want to show profits and dividend increases for their shareholders. That’s their objective. If you fail to understand that personal injury law, from an insurance perspective is all about money; then you will fail to understand how the insurance defense side of your claim works. One of the biggest pieces of the puzzle for an insurance adjuster is getting the opportunity to speak directly to the accident victim. This should NOT happen if you’re seriously injured. It’s like walking through a mine field. The questions that will be launched at you will be one sided, unfair, and the answers you provide will probably NOT be reported accurately. By speaking directly to an insurer, without legal representation, you are providing unfiltered EVIDENCE about your claim that will later be used AGAINST you. Chances are that you won’t be taking notes of your conversation. The insurance agent however is taking notes of everything you say (or only the parts that favour their side of the story). In this context, anything you tell them will be held against you. It will also be seen as the BEST EVIDENCE in your case because it was presented so soon after the accident that there was little time for you to forget. In addition, you information was also presented to the insurer in a laid back environment, where there’s no reason for the truth NOT to come out. You would be amazed at the amount of personal and confidential information that’s passed to insurers by accident victims without legal representation. People chat with insurer over the phone for hour long confessions, or even invite them in to their own home for half day statement sessions. At the end of the session, the accident victim them signs their statement; thereby virtually sealing their cases fate. Even worse is when the accident victim provides a statement, then signs it without even reading it. Yikes! That happens too. I’ve seen people tell insurers that the collision impact for their car accident was “significant”. Yet on the signed statement the collision impact is reported as a “light tap” or “insignificant”. You may tell the adjuster that the road conditions and visibility were “good“. But the adjuster may not have heard you properly and reported that road conditions and visibility were “not good“. The devil is in the details, and if you’re not careful about what’s being written down, then you and your claim are in trouble. This is why you have the RIGHT TO REMAIN SILENT. Just like in a criminal case. Accident victims are under no obligation to speak to an insurer without legal representation. Call a lawyer right away and don’t risk getting hurt twice. It’s just not worth it. Lawyers can help you navigate these waters; but we can’t turn back time and change the evidence that you’ve provided or that was recorded (falsely or not). Here is the WORST example I’ve seen of an accident victim and their family sharing too much. Person was hit by a car and sustained multiple orthopedic injuries along with a brain injury. The person is kept in hospital for 7 days. After the 3rd day in hospital, an adjuster from an insurance company attends bedside and takes a statement from the heavily medicated accident victim. The statement is completely bogus, and taken under wrongful pretenses; namely, the accident victim did not have capacity at the time on account of their injuries and medication which left them heavily sedated. Be safe. Understand your rights. Call a lawyer. End of story. Enough law talk? Sure. I can’t believe it’s August and Toronto’s baseball team is still playing meaningful games. Let’s hope that continues in to September. 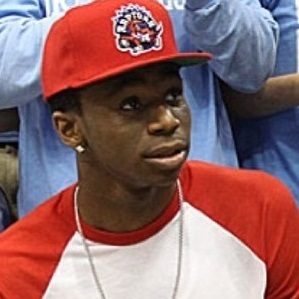 I’m also hopping that Andrew Wiggins will be playing for Toronto in 4 years time.